Helen Elaine Lee was educated at Harvard College and Harvard Law School. Her first novel, The Serpent’s Gift, was published by Atheneum in 1994 and her second novel, Water Marked, was published by Scribner in 1999. She recently finished ALife Without, a novel about the lives of ten people who are incarcerated in two neighboring U.S. prisons, and AThe Hard Loss, a novel about a DNA exoneree's first week of freedom after 22 years of incarceration for a crime he did not commit. Stories from ALife Without have appeared in Callaloo, Prairie Schooner, Hanging Loose, Best African American Fiction 2009 (Bantam Books), and solsticelitmag.com. She is Professor of Fiction Writing in MIT's Program in Writing and Humanistic Studies and a Writer in Residence with the Solstice Low-Residency MFA program at Pine Manor. 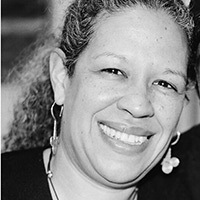 A member of the Board of Directors of PEN New England, she serves on its Freedom to Write Committee and volunteers with its Prison Creative Writing Program.